You are here: Home / Blog / Media / Video / Can Spiritual Experience be Scientifically Validated? At a Melbourne skeptic’s meeting in Australia, theoretical physicist Lawrence Krauss was asked whether spiritual experiences could ever be scientifically validated. Lawrence Krauss – Can Spiritual Experience be Scientifically Validated _“The spiritual things — the exotic phenomena people experience — in general violate the things we know to be correct on the basis of experiment, so they’re highly likely to be wrong,” Krauss answered. “So I can’t tell someone that what they’ve heard, or what they’ve seen, or [have had] some mystical experience — I can only say that it’s likely a coincidence,” he concluded. This video was recorded by Adam Ford. 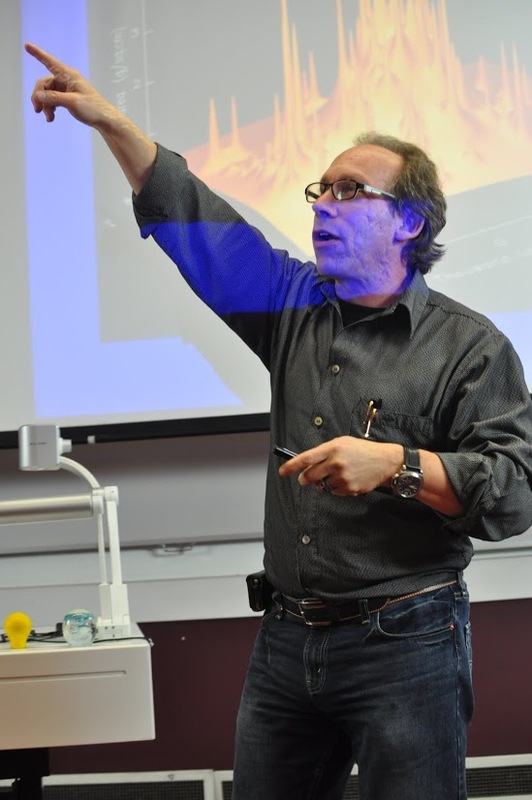 The full video of Lawrence Krauss’s presentation is available here soon. Please subscribe to the YouTube Channel for further updates. Note this article has been adapted from an article ‘Physicist Lawrence Krauss: God is a byproduct of your hard-wired narcissism‘ that appeared on Raw Story. Lawrence Maxwell Krauss (born May 27, 1954) is an American theoretical physicist and cosmologist who is Foundation Professor of the School of Earth and Space Exploration at Arizona State University and director of its Origins Project. He is known as an advocate of the public understanding of science, of public policy based on sound empirical data, of scientific skepticism and of science education and works to reduce the impact of superstition and religious dogma in pop culture. He is also the author of several bestselling books, including The Physics of Star Trek and A Universe from Nothing. Initially, Krauss was skeptical of the Higgs mechanism. However, after the existence of the Higgs boson was confirmed by CERN, he has been researching the implications of the Higgs field on the nature of dark energy. Krauss mostly works in theoretical physics and has published research on a great variety of topics within that field. His primary contribution is to cosmology as one of the first physicists to suggest that most of the mass and energy of the universe resides in empty space, an idea now widely known as “dark energy”. Furthermore, Krauss has formulated a model in which the universe could have potentially come from “nothing,” as outlined in his 2012 book A Universe from Nothing. He explains that certain arrangements of relativistic quantum fields might explain the existence of the universe as we know it while disclaiming that he “has no idea if the notion [of taking quantum mechanics for granted] can be usefully dispensed with”. As his model appears to agree with experimental observations of the universe (such as of its shape and energy density), it is referred to as a “plausible hypothesis”.